For today’s PopTalk & Trivia Thursday, we check in with Albert Ross in Charlotte, North Carolina. 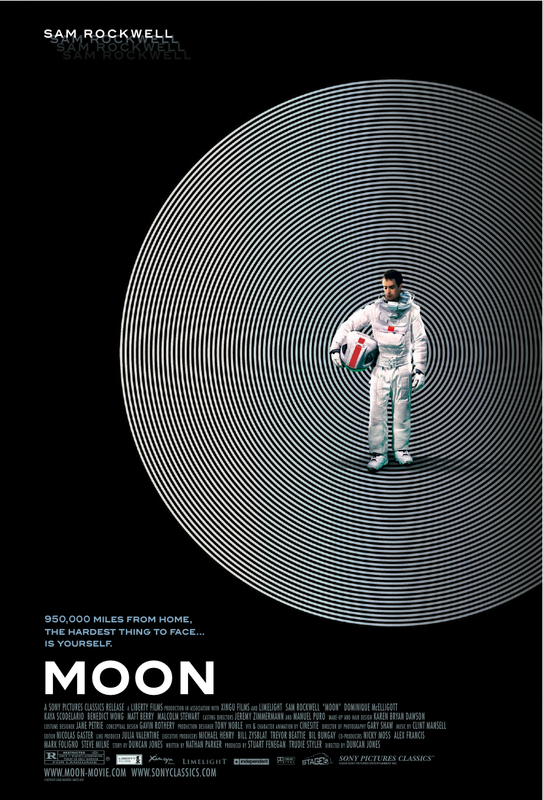 He shares his love of “Moon,” a 2009 gem by Duncan Jones starring Sam Rockwell, “Bar Karma,” a choose-your-own-adventure series on Current, and “Walking Dead,” AMC’s smash hit from earlier this year. Then, it’s time for trivia! You can follow Al on Twitter at @albatros69, or find him on Facebook. Interested in joining us on Popspotting? Drop us a line! This entry was posted by Ryan on June 22, 2011 at 9:55 pm, and is filed under Podcasts, Trivia. Follow any responses to this post through RSS 2.0. You can leave a response or trackback from your own site. Good morning, Ryan and Jen. I enjoyed the latest episode of Popspotting, but have a couple of comments about it. Your guest, Albert Ross, stated that all of the writers for The Walking Dead (save for Robert Kirkman – not “Kaufman,” who created the comic book on which the series is based) were fired after Season 1. Secondly, I fear that you all may have accidentally confused some listeners at one point. Of course, you were referring to Breaking Bad, which returns on July 17. We won’t see Season 2 of The Walking Dead until October. I wish that it were true that TWD was returning to the air that soon, but alas, it isn’t so. Nothing David says here is incorrect and is in fact a further exploration of the facts than presented on the podcast. The TWD writers room was basically reconfigured to deal with the fact that Darabont and Kirkman (I knew I had his name wrong!) were taking strong reins on the scripts and that the new crew was meant to facilitate that process. Babylon 5 had a similar process eventually as the show runner decided no one could speak in his world and characters as well as he, so he ended up writing approximately 80 episodes in a row, alone over more than 3 seasons of a 5 year run. He burned himself out and the last season suffered for that and network/production reasons. But otherwise both TWD and B5 are better for the “obsession” as the writer/showrunner combinationmakes for more auteur style in TV and often superior product (see as an example Sorkin and the West Wing) as the vision of the world and the characters are more directly brought to the screen. TWD is due for a near Halloween season premier as David states, and is certainly not suffering for the wait, as anticipation seems high still this summer. In general I’d like to let folks know that Ryan and Jen are terrific interviewers, drawing one out to speak their piece, and asking smart and to the point questions to draw you out when you falter. That is *not* an easy skill and I look forward to their upcoming shows to gain further suggestions and perspectives. Well said, Albert. Thanks for the reply. Indeed, none of what I say in any of my comments should be taken as a criticism – overt or otherwise – of Ryan or Jen. I’m in awe of what they have done to advance the art of podcasting and am so glad that they are back “on the air” after a long hiatus. Thanks, David, for the comment and clarification, and to Al for subjecting himself to us and for responding here as well! Apologies for the date confusion on Breaking Bad vs. The Walking Dead! I’m thinking I must’ve gotten sloppy with the editing (we did go off on a longer Breaking Bad tangent). And whatever the reason for the staff changes at The Walking Dead, we’ll indeed have to wait until fall to see what effect it might have (if any) on the show! Oh, a little peek behind the curtain. The quality of your editing is very high; I had no idea that any of the conversation was edited out, though that might certainly explain what happened in this case. Haven’t listened to this episode yet, but wanted to comment on the Trivia Thursday section. I think if the guest doesn’t win both of the categories that they picked they should get to try the third category… or have a “winner takes all” question. Give them a chance to come back and win the day! Thanks, Adam. A tantalizing suggestion! We do know that we tease a bit with every show leaving a third category untouched… but we were hoping it’d also keep everyone curious. But we aren’t strict about unused categories coming back the next week anymore, either. I like the “winner takes all” idea, though, but that would have to be an even harder question! One last postscript. The Bar Karma forum of the Current website has been put on a “read only” hiatus format and any postings that discuss the status of the show indicate that the second season is still uncertain. I would judge this as being a indication of there being no further seasons currently planed, especially since the top banner reads “Production is now over”.